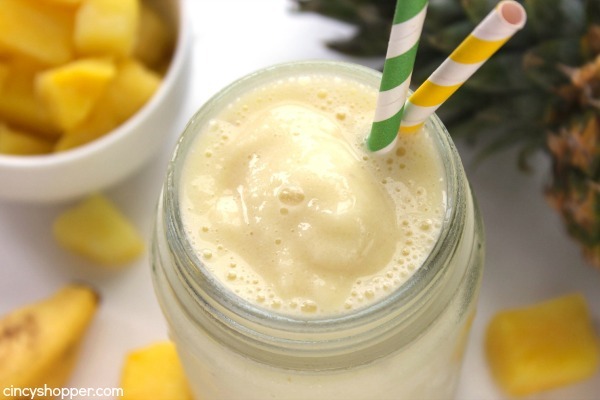 This Caribbean Slush is loaded with pineapple, banana, and coconut flavors that are sure to keep you refreshed this summer. Super simple beverage that is great for hot summer days. This one will have you dreaming of the tropics. During the hot summer months, my kiddos and I are huge fans of slushie drinks. 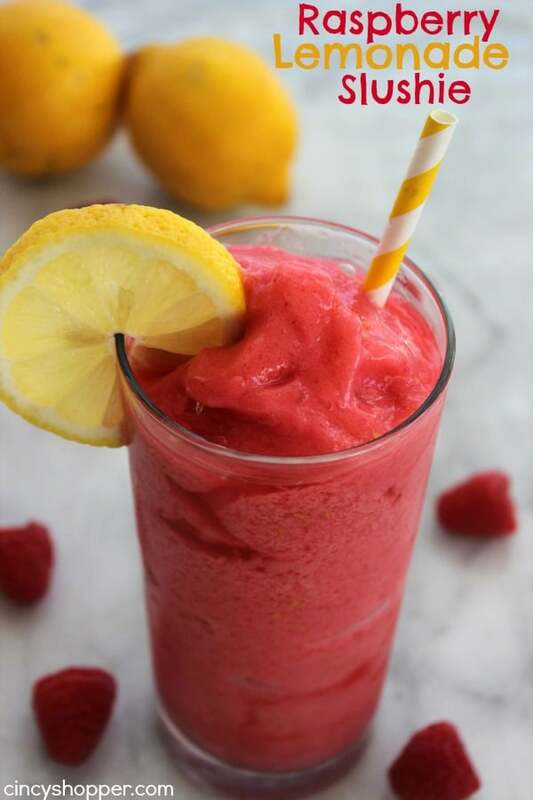 I shared our favorite Raspberry Lemonade Slushie with you earlier this spring. It has been one of our favorite refreshments lately. 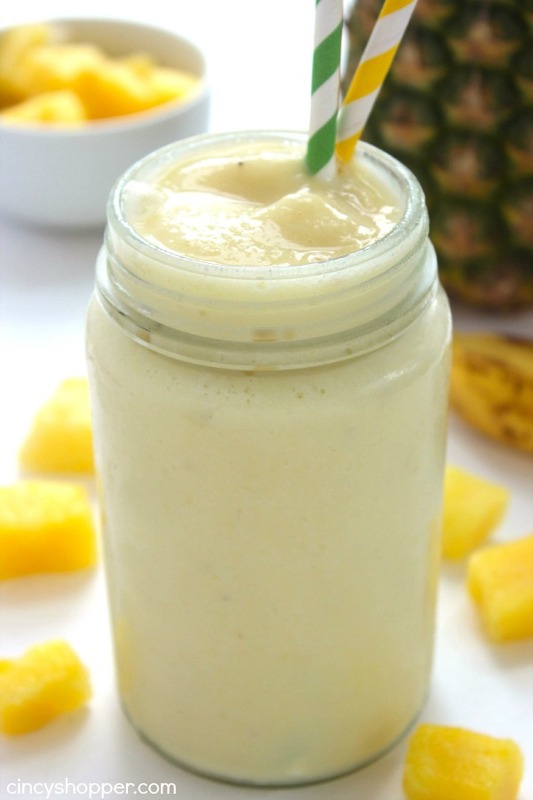 Pina Colada’s happen to be one of my favorite tropical drinks. This Caribean Slush reminds me of a Pina Colada minus the alcohol of course. Slushies are so simple to make right at home. 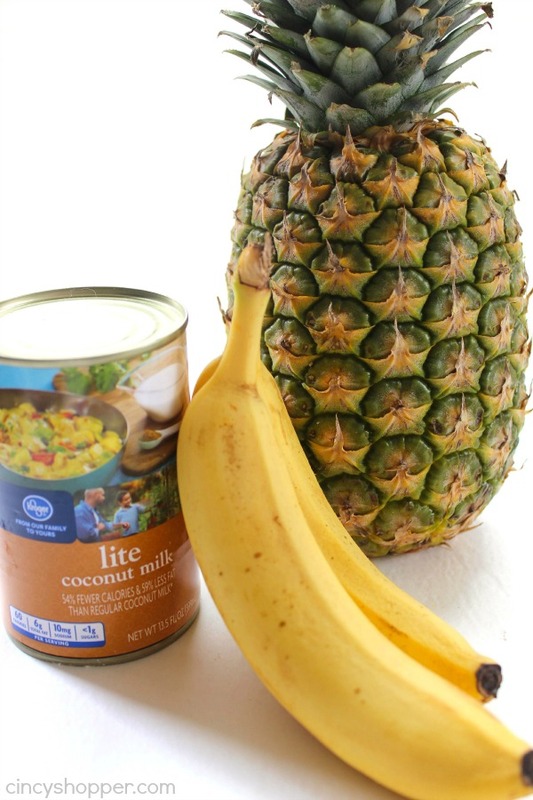 You can grab your favorite fruits and whip up a special drink in no time at all. 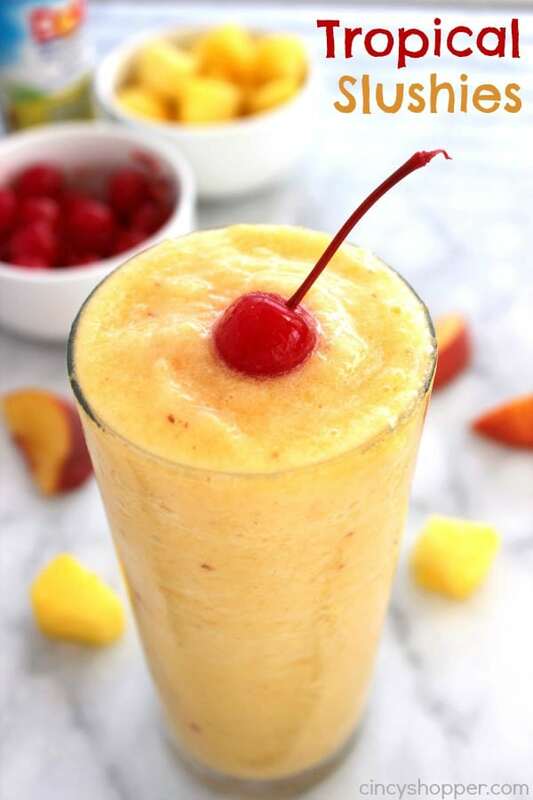 Summer time is a great time to enjoy slushies, they keep you cool on a hot summer day. My kiddos think they are enjoying a special treat. 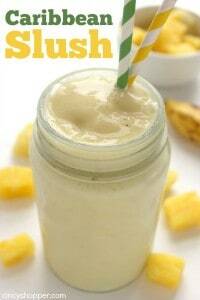 For this Caribbean Slushie, I used fresh pineapple, banana, and some coconut milk. I found our coconut milk right at our local grocery (Kroger) in the ethnic foods section. 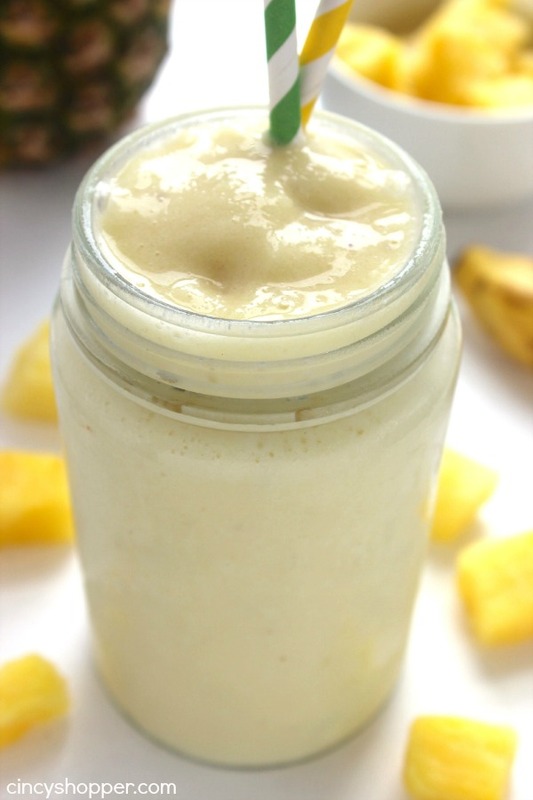 All you need to do is freeze your fruits, add your coconut milk, and give it a whirl in your blender. Super simple and super tasty. 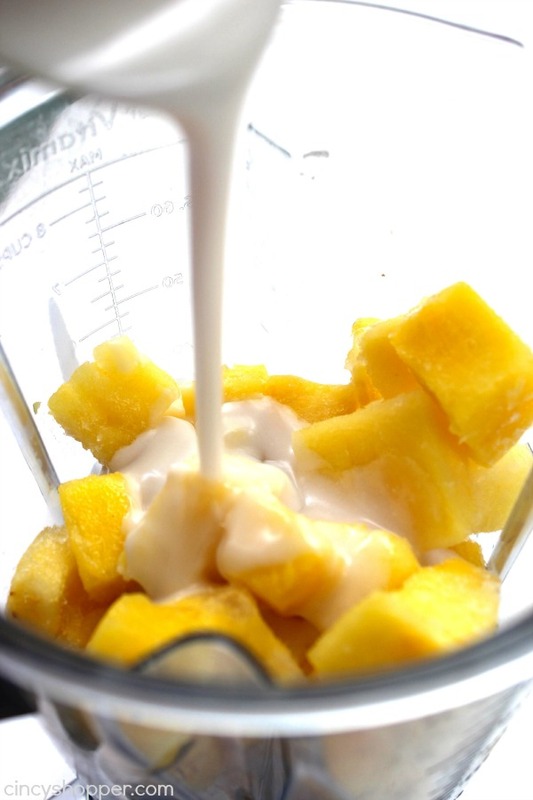 Combine ingredients in blender and blend until it becomes slushy. These summer drinks were a perfect blend of flavors. I did close my eyes for a few minutes just to imagine myself on a tropical island sipping on this tasty beverage, ha ha! 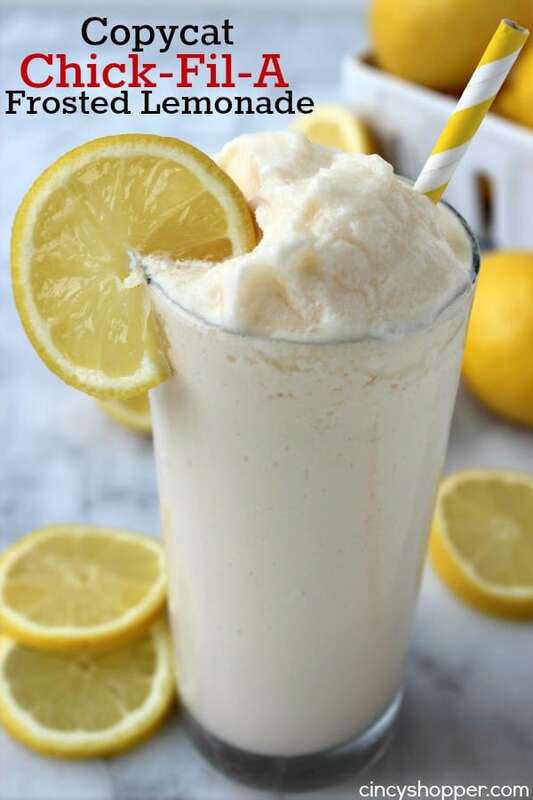 Do you have a favorite summer time drink that you enjoy on a hot day? This drink looks amazing! 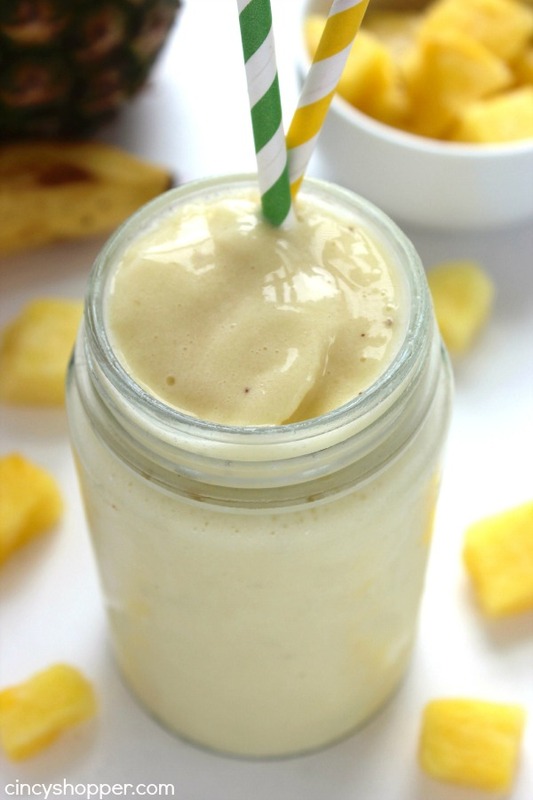 Love banana and coconut together and its healthy to boot! Thanks for sharing at Wonderful Wednesday blog hop! Pinning to wonderful Wednesday Pinterest board. 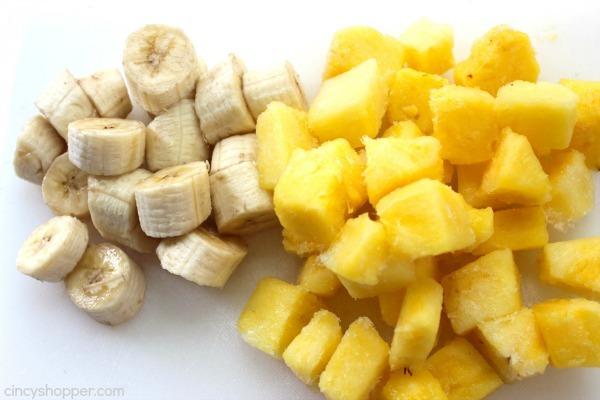 I kid you not that we JUST cut open a fresh pineapple before I saw your post and now I know what we will be doing with it! Thanks for sharing at the #HomeMattersParty with us! Hope to see you again Friday!